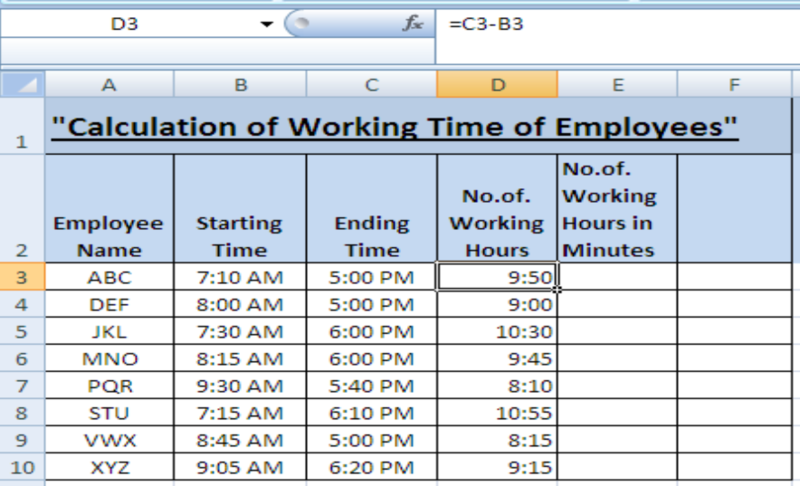 This article contains the information regarding calculation of time difference between two different times in Excel. Calculation of Days between two dates: This data carries supposed employees and their starting and ending dates of work in order to calculate their “total working days”. Select cells from B3 to C10, make a right click and select “format cells” and a window will appear. 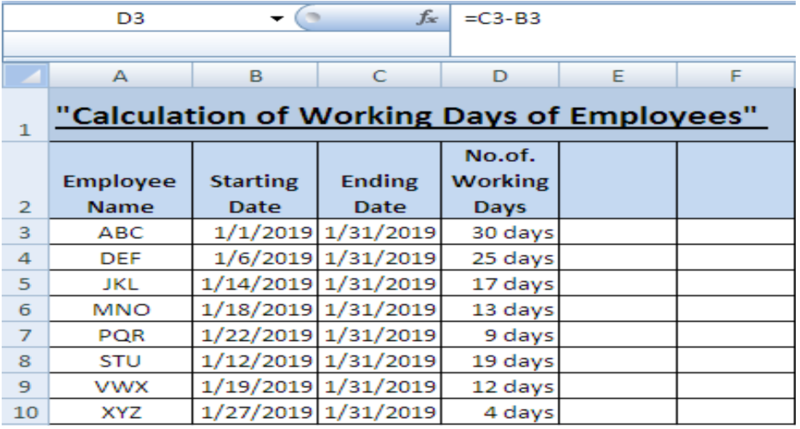 Click on “date” in the “number” section and choose one specific format of date for both columns B and C.
Click on cell D3 and enter the formula =C3-B3 and you’ll get the difference of dates that is total number of working days. Drag it to D10 to calculate the days between all the times. This feature is optional to add. Calculation of Hours between two times: A similar figure of example is taken here to calculate the difference of hours between two times. Select cells B3 to C10, press a shortcut key CTRL+1 for the format cell window and choose the format from “time” in the “number” section. Select cell D3 to D10 and format them by clicking on h:mm in the custom category of format cells window. Type =C3-B3 in cell D3 and we’ll get 9:50 as total working hours (In which 9 is referred as hours whereas 50 is the number of minutes. 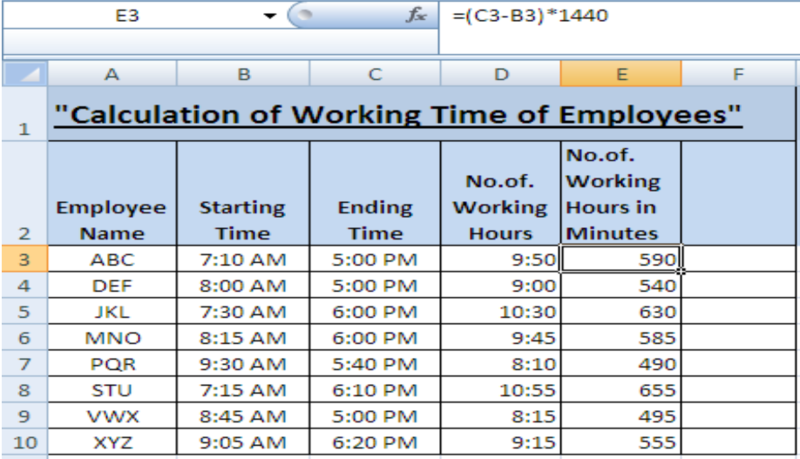 Drag it to D10 to calculate between other times in columns C and B.
Click on cell E3 and follow the given formula to calculate the difference of time in minutes. We can see the formula entered in E3 in the formula bar. Click E3 and drag it down to E10 to get the working time in minutes for all the cells.